Thomas Penton returns to Yin Yang under his techno moniker Arkatec. Rustatic is a great original track with a great fast melodic stab line that permeates throughout the track giving it a great feeling. The track breaks and builds with great ease and applause from the dance floor. Outstanding track from a legend producer. Maximus Bellini. Wow this has to be one of Maxs greatest creations. He takes the original parts and creates a monster. Check out the huge monster synth that comes in after the main breakdown. This is sure to set any dance floor a light. Magnificent. 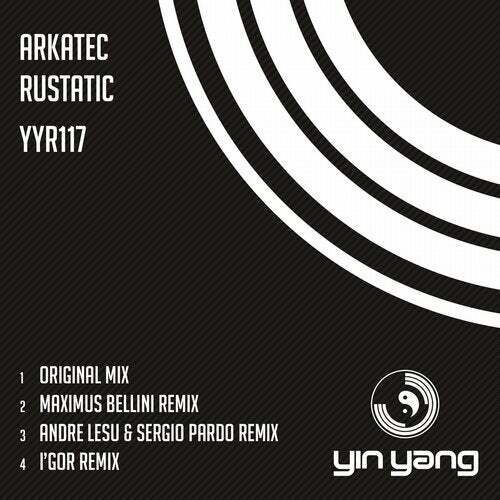 Andre Lesu teams back up with tech house partner Sergio Pardo. This blend of tech house with techno makes this monster techno remix. on the cusp of being tech house its still classed as techno. Its funky and driving. Another great remix. IGors creations are always tough. He is dominating the thought techno scene with his pounding sequencing. This monster is hard as nails and drops and builds like a monster. The kick drum is dark and pounds like a monster pounding his feet on acid. Great use of breaks and builds. Terrific remix.